Draugirrin are a solo project from Sweden that plays a ritualistic and pagan form of dark ambient and this is a review of her 2017 album "Mykraverk" which will be released in February by Nordvis Produktion. Fire burning and female vocals start off the album and after awhile the music starts adding in more tribal and ritualistic elements and grim black metal vocals are also used at times and after the intro atmospheric synths are added onto the recording and a great portion of the tracks are very long and epic in length. Whispers can be heard in certain sections of the recording and the music is mostly rooted in a dark style of ambient and percussion's are also added into the music at times and the music also brings in a decent amount of melody and occult style chanting and the songs also bring in a decent amount of diversity. Draugirinn plays a style of pagan dark/ambient that is very ritualistic, tribal, occult and shamanistic sounding, the production sounds very dark while the song themes revolve around Icelandic Paganism, rituals, and folklore. 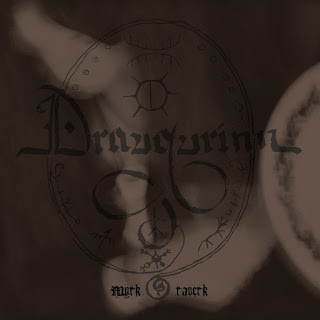 In my opinion Draugirinn are a very great sounding ritualistic pagan/dark ambient solo project and if you are a fan of this musical genre, you should check out this album. RECOMMENDED TRACKS INCLUDE "Udarmani" "Nornaskapur" and "Aska". 8 out of 10.